Before I start, this is a disclaimer. Disclaimer: I do not own the photos in this post, all photos are taken from facebook and it belongs to their rightful owners. From the post title, you will know what this post is all about. Its about the Black wave. 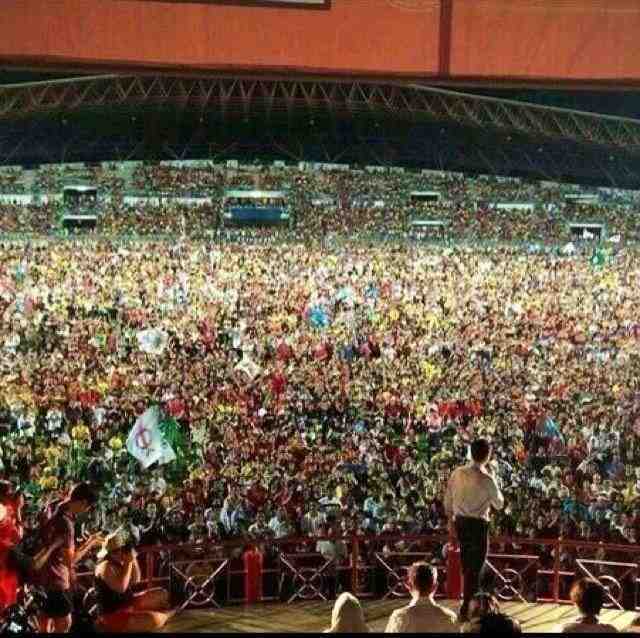 Its about the RAKYAT TSUNAMI. Unfortunately, I wasn't there. I couldn't be there. But never mind, our hearts are link together. 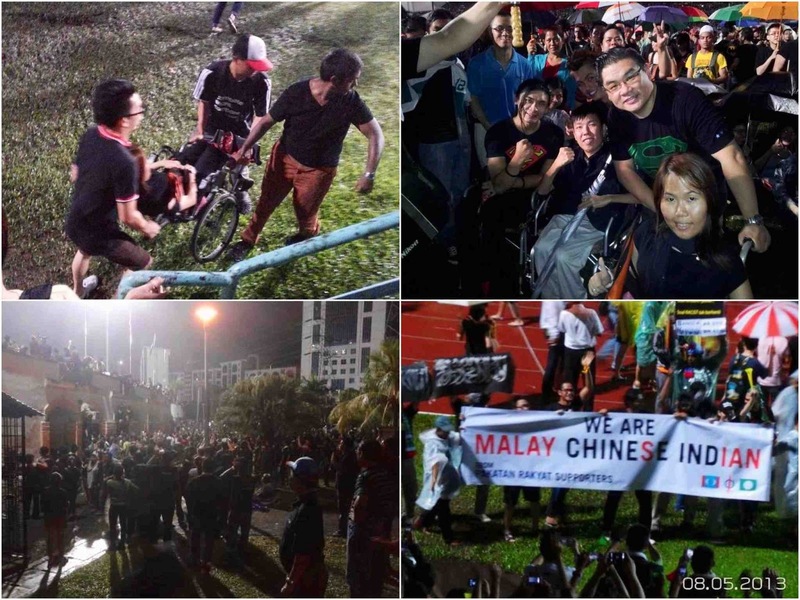 The rally was a called up by Anwar Ibrahim and the opposition leaders to protest against fraudulent election and to oppose the "Chinese Tsunami" saying by Najib Razak which he claims to be the cause of the great loss in the election after he manage to maintain his crown. Its seems like he can't wait any longer to play his dirty old trick- racism in order to divert people's attention towards his incapable that had caused BN for losing so bad in the election. He is playing with fire now. and A fierce one. My mother used to tell me to be careful of what I wish for. and I think our dear PM should bear this in mind too. Be careful of WHAT YOU WISH FOR. You called it, You GOT IT. Instead, It's BIGGER. 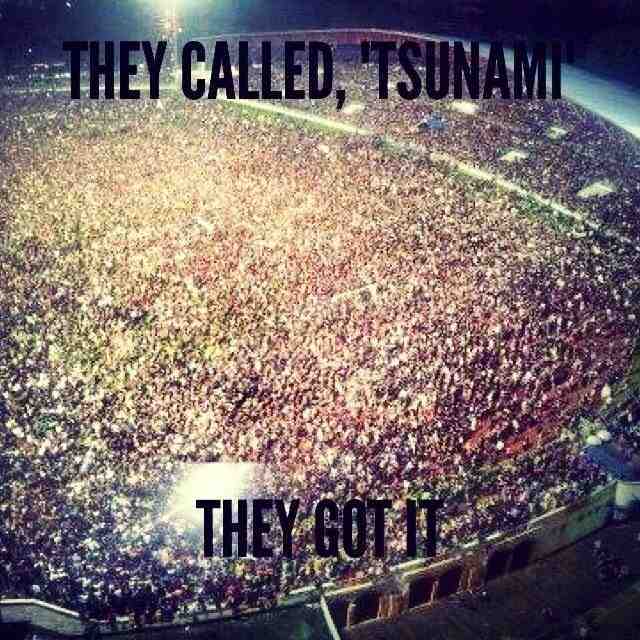 It's not "Chinese Tsunami". 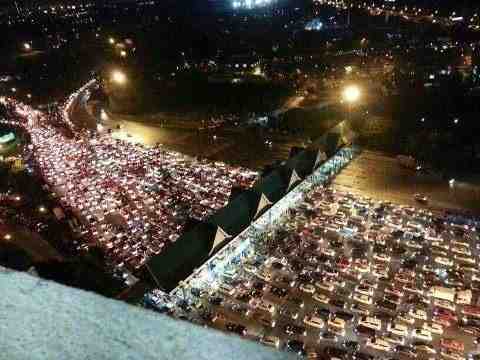 What you see now its the expressway to Kelana Jaya Stadium, everyone is trapped but still waiting patiently. My friends who was in the queue told me that they were in the queue for almost 3 hours but yet didn't move even a mile or two. and than, without knowing who started it, they realized cars are stopping, engines off, people just PARKED their cars and start walking! Its a few kilometres away, but that's not the main point. 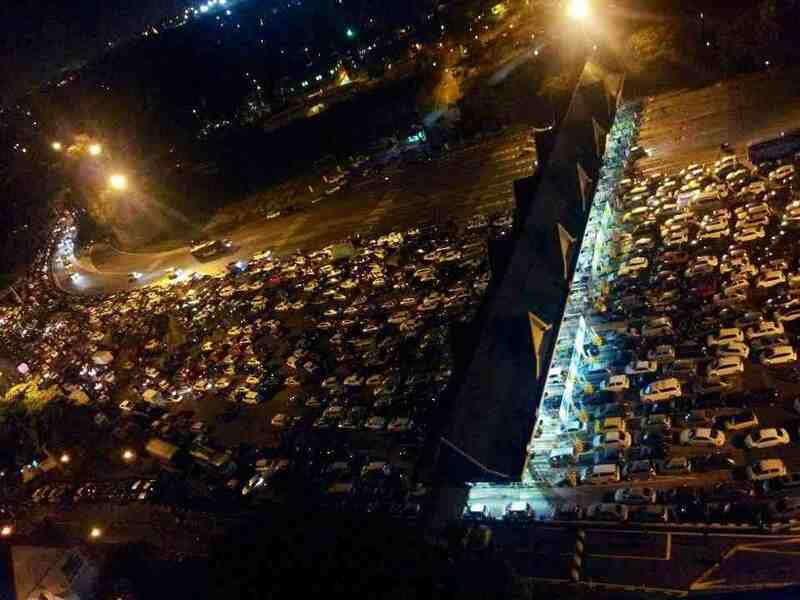 The awesome thing is the people had just TURNED A FREAKING EXPRESSWAY INTO A PUBLIC CARPARK!! I have never seen such thing in my life ever!! Bravo warriors of Democracy! Salute!!!! How Magnificent and Spectacular was that! Just look at this!! Its the most beautiful traffic jam I ever seen! 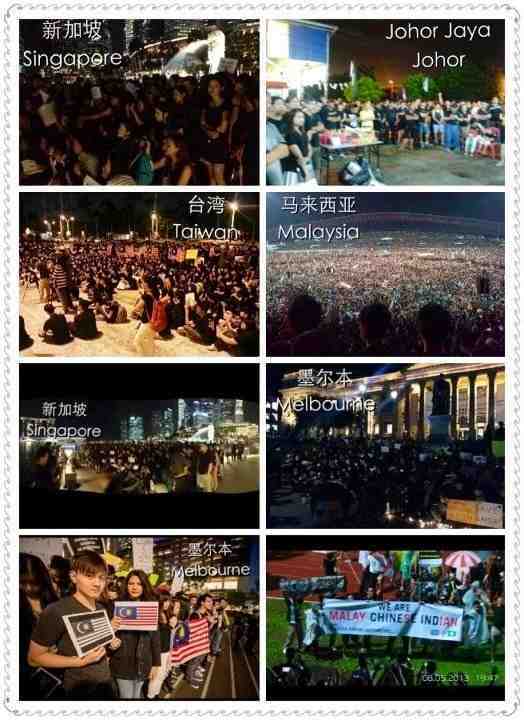 Malaysians from all around the world, Taiwan, Melbourne, Shanghai, Singapore and etc are with us! 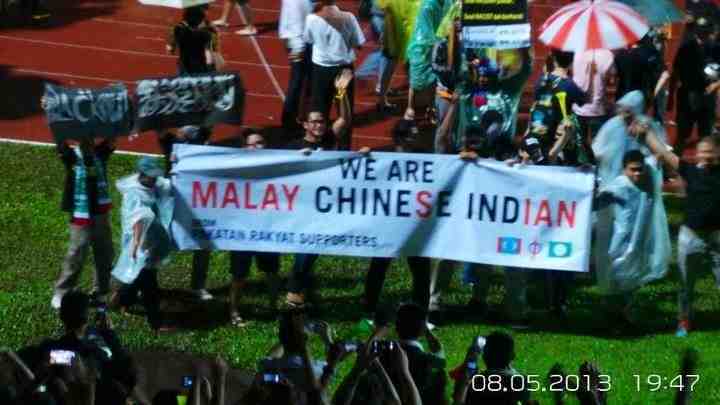 Although they are far away, but their hearts have never left, their love towards Malaysia have never fade. The Singapore crowd. 100+ of them include local Artist. Just look at the crowd yourself dear PM and think deeply. Think. What makes people go out to the street? What makes the people roar? The estimation of the crowd that night was 200,000! Can you imagine that? That has not include those that are outside of the stadium, those who are on the street and expressway and those that are unable to attend but keeping themselves updated by following online live-streaming. Even OKU (OKU= Orang Kurang Upaya= disabilities) are there to support! Just look at how different races are helping each other!! 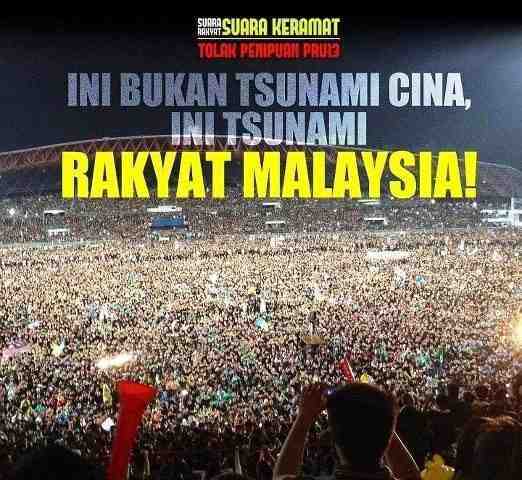 This is not Chinese Tsunami. 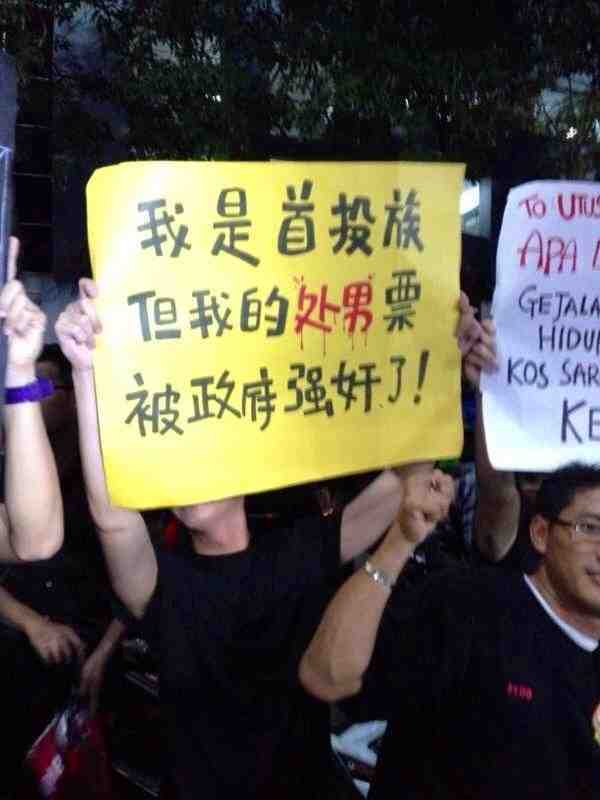 This is the rakyat. This is what makes Malaysia, The Malaysia. 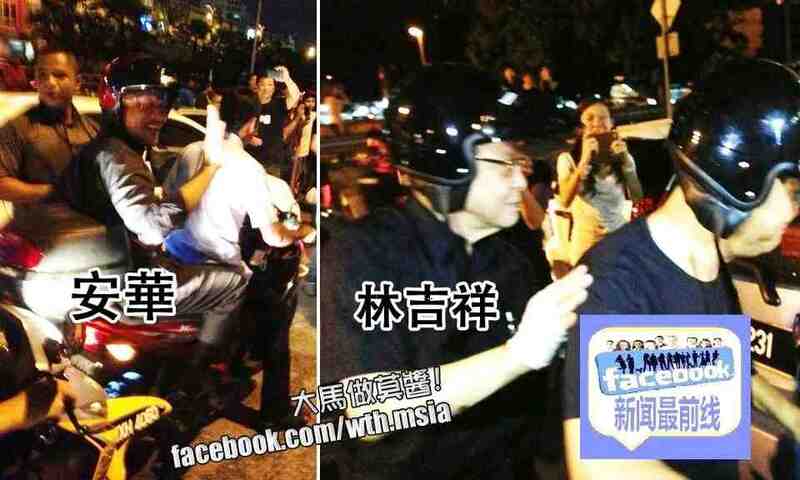 and The leaders.. Anwar Ibrahim and Lim Kit Siang do not mind to travel by bikes to the stadium so that they will not be late for the talk because of the traffic. Would our dear PM do that? Guess not..
You said if was a fair and clean election.. but that's what you say.. The people felt otherwise. At least, to this guy.. he felt... RAPED. "I am a first-time voter. My virgin vote was raped by the government." What really amazed me is that after the rally ends, people are working together to clean up the trash!! 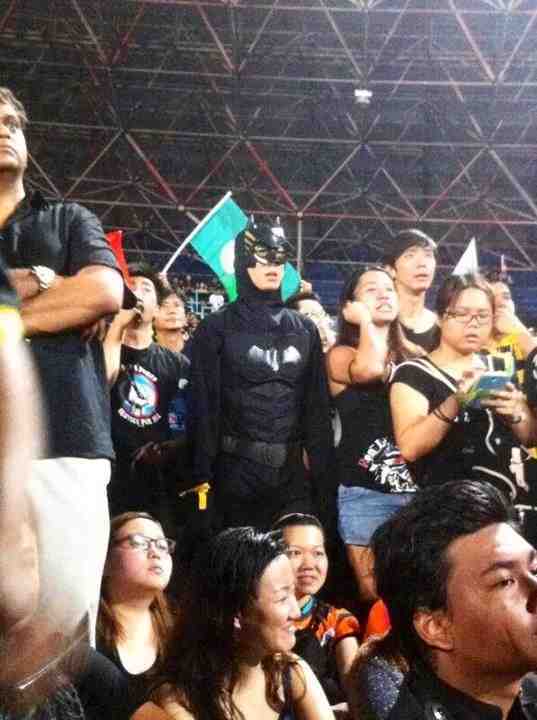 I really love to see how Malaysian has evolved! This election, awaken the power within the people. 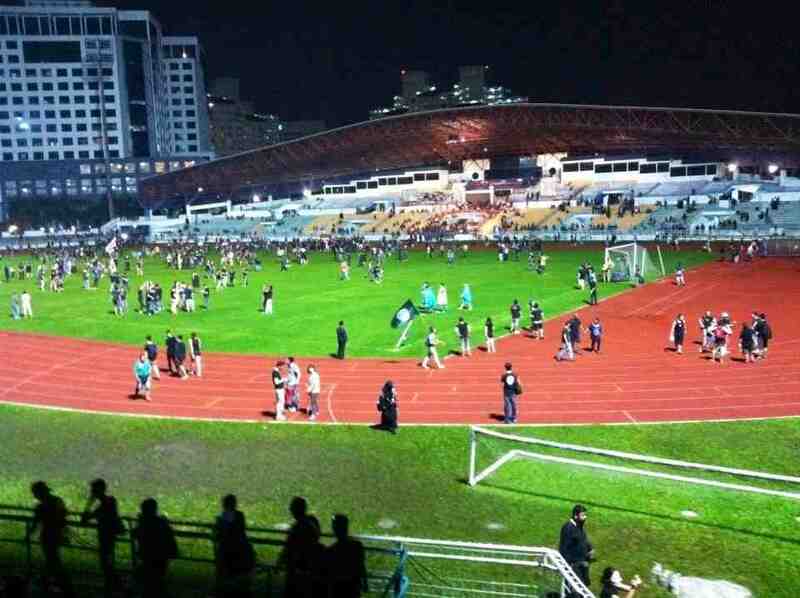 This night, the people of Malaysia United as One. We really have grown so much.. I must say, I am deeply moved..
We, stand up for Democracy. We, fight for a Better Malaysia. This is my first time hearing such nicely sang National Anthem.. This is the power of the people..